Collision Advice has released the results of its latest “Who Pays for What?” survey, this time on billing for masking when priming. The survey highlights an upward trend in the percentage of shops across the U.S. regularly being paid by the eight largest national insurance companies to mask as necessary for priming. Back in 2015, a “Who Pays for What?” survey conducted by Collision Advice and CRASH Network found that less than 1 in 4 (24 percent) shops said they were paid “always” or “most of the time” when charging for the “not-included” labor required prior to the priming process to protect the vehicle from overspray. That grew to 37 percent in the last several years. But the same survey this past January found that 43 percent of the more than 600 shops responding to the question reported regularly being paid for masking during the priming process. Only about one-third of shops said they have never sought to be paid for that procedure. Mike Anderson of Collision Advice said the change is a good indication the industry is increasingly aware of the not-included procedures shops often do without seeking compensation. 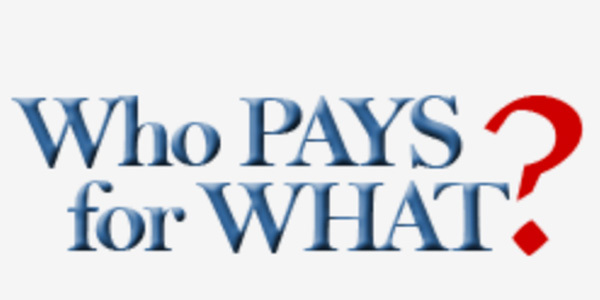 Anderson said the latest of the four 2019 “Who Pays for What?” surveys, which focuses on “not-included” body labor operations, is open now through the end of April here. Anderson said the survey, which will take about 15 to 25 minutes, can be completed by any shop owner, manager or estimator who is familiar with the shop’s billing practices and the payment practices of the largest national insurers. Each shop’s individual responses are kept confidential; only aggregated data is released. The results of previous surveys are also available online here.